The areas between Dagestan to Talysh, in the Trans-Caucasia and north of Iran are the central regions of quince (Cydonia oblonga Mill.) origin. Historic documents present evidences of quince domestication in the Mesopotamia, between 5000 and 4000 BC that have been pursued to about 500 BC in the ancient Persian and Greek empires. By the end of nineteenth century, domesticated populations of this plant had been spread to the west and east Asia, Europe and America which in turn, created several centers of diversity along its distribution route in some regions such as plateau of Iran, Anatolia, Greece and southern Europe, north of the Black Sea and Russia. Gradually in the mentioned domestication routes, selected quinces such as, Isfahan, Smyrna, Ekmek, Eşme, Vranja, Lescovatz and Champion have become commercialized as superior cultivars. Also genebank collections of the historic cultivars together with the promising genotypes of quince have been established in several countries including, Russia, Iran, Turkey, Greece, Italy, Bulgaria, Czech Republic, UK and USA. 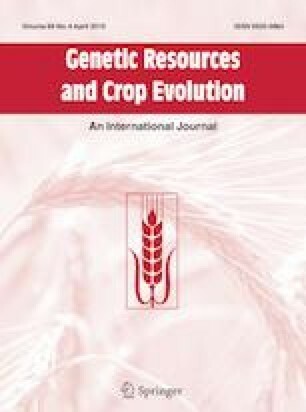 Investigations on morphological, molecular and horticultural characteristics of the germplasm have provided ample opportunities for application of advanced breeding programs especially to boost bearing potential, induce dwarfing, increase fruit quality and resistance to the main diseases such as fire blight. This review paper has attempted to give an account for quince historic origin, domestication, gene bank collections and breeding strategies.